Apart from just drinking beer, it seems some people get inventive and use our favorite beverage to create all kinds of things you wouldn't expect. You might already know that our beloved Westvleteren beer is used as an ingredient for several kind of food that are produced here in Belgium. First up is a dessert made with Westvleteren 12. Baker Pedro Ameel in Oostvleteren makes a mousse which served in typical small glasses. The monks exceptionally gave permission for him to use their beer to create this dessert. The mouse is quite "light" and the beer taste isn't overpowering. It's available in their shop: Bakkerij Ameel, Kortekeer 4 in 8640 Oostvleteren. This is just 6Km from the Westvleteren Abbey and In de Vrede, so if you make it there and have some time left why not head over to Pedro's bakery to try some delicious Westvleteren mousse? Second is a delicious paté which is made with Westvleteren 8. Paté literally means "paste", it's a kind of hard savoury spread that's usually put on crispy pieces of bread, or sandwiches. It's very common in France and Belgium. This particular one, like most others, is made of pork meat and liver. It can be bought at In de Vrede, the bar across the road from the abbey, and it's truly delicious. You can buy the paté there to take home, or have a sandwich with it in the abbey. This together with a Westvleteren 6 is a very nice combination. Third is "hennepot". 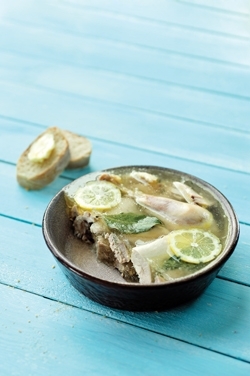 "Henne" is an old Flemish word for chicken en "pot" means … pot. It's basically a chicken dish, where the chicken has been put in gelatine / jelly. 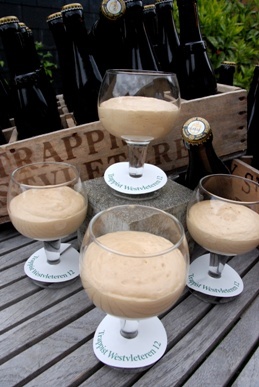 Hennepot is a traditional recipe from the area of Poperinge (close to Vleteren). The meat is usually cooked in its own juices along with a little vinegar. White wine, lemon and herbs are then added. Traditionally it's eaten in this area during the fairs that take place in July, but it's basically available all year round. At In de Vrede it's possible to try some Hennepot that's been prepared with the Blonde Westvleteren 6, where it's served in a sandwich. Finally, also at In de Vrede they serve an icecream called "Coup de Vrede". 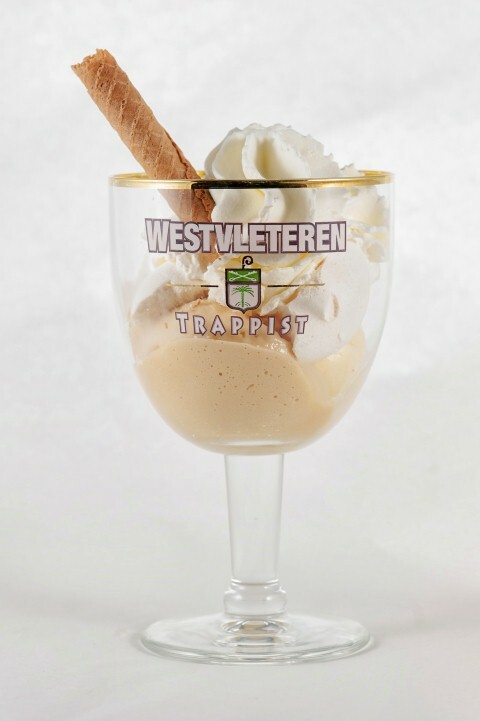 This is, you guessed it, an icecream prepared with the Westvleteren 12 and looks particularly delicious. If you fancy yourself a bit of a chef and want to try your hand at preparing a dish with this delicious beer, why not go aheard and buy Westvleteren and see what you come up with?